People seem to think they know about something simply because they have seen, read, or have participated in a similar thing. In fist fighting many seem to think they know how to do it simply because they have boxed before or have seen it. You see the problem arises because many equate boxing with fist fighting, now while they may look the same there is a vast difference between the two. 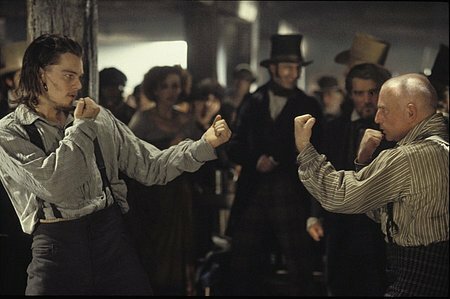 In this article I’m going to go over some of the basics of fist fighting. I will explain the why of fist fighting and not just the how to, because once armed with this information you will not only know what the difference is. But why there is a difference. Because whether you know it or not, know one ever gets into a street-fight wearing boxing gloves and wraps. The first thing you need to learn is how to make a fist. You must roll a fist as opposed to clenching a fist, rolling causes your fist to be rock hard. And when you roll a fist your back knuckles tend to stick out further then if you just clenched your fist. This will cause more damage to your opponent when you strike him. Next is the angle of the fist, there is basically three ways to throw a fist: Horizontal, Vertical and Diagonal. If you throw a horizontal punch to the head like a boxer you will have a bigger chance of breaking or injuring your fist. Striking with a vertical or diagonal fist position is the better way, both are anatomically stronger than the horizontal position. But for close range punching use the diagonal fist position it is the most dangerous position in fist fighting. Both the vertical and the diagonal positions fit the contours of the face, not so with a horizontal fist. The horizontal fist works best striking anywhere below the clavicles and not to the face or head. The next thing to learn is which knuckles to strike with. Basically there are three ways to do it: First Two Knuckles, Last Three Knuckles and All Four Knuckles of the fist. The one most used by bare-knuckle boxers was the last three knuckle version. Now lets adjust the guard position, you need to keep your fists away from your face. The lead fist should be about a foot and a half away from the face. The rear fist is about half a foot away from the face below the chin level. If you hold your fists to close to your face like a boxer it makes it easier to get hit in the face since you’re not wearing big bulky gloves to hide behind. The only time you should bring your hands closer to your face is when in close to your opponent. Next don’t tuck your chin too deeply into your chest, you won’t be able to rotate your shoulders very quickly, which in turn will slow your punches up. You’ll be putting the breaks on your punches and your power. Just keep the chin lightly tucked and learn how to slip, duck, and bob ‘n weave in other words move the head! Other things to consider are pointing the knuckles in the direction you want to hit. This will make you strike faster and with more power plus it will hide your intentions from your opponent. Strike with the back knuckles of the fist, this will cause more damage to your opponent. Learn to breathe from the belly, this will help keep you from hyperventilating and train you to keep your mouth shut. Keep your shoulders rolled down, not raised up. This keeps the shoulder girdle connected to the torso for increased power in your punches. I hope you’re starting to understand that there is a lot to fist fighting than just putting up your dukes and boxing. You need to separate the glove from the fist, the sport from combat, and boxing from pugilism. These are just some of the basics that you need to know for fist fighting. Hopefully this will spur you on to research how the bare-knuckle fighters of the past fought and what tactics and tricks they used to defeat their adversaries. But more importantly that this information will be used by you to make you a better and more dangerous fist fighter. After all I’ve never been attacked by someone wearing boxing gloves in the streets, have you? Do you have a hard time with your footwork or body movement when you clinch, punch, elbow, knee, kick or throw? Do you gas out easily from countering takedowns or clinches? Does it take you longer to recover from having to continuously use bursts of energy while sparring or training hard? In a street-fight all of these things can cost you if you’re not conditioned for it. The drill I’m going to teach you will help you in all these areas plus so much more. It will develop your footwork, body movement, balance, stability, agility, aggressiveness, strength and endurance. Not bad for a piece of equipment that costs around 10 bucks to make. Stick grappling is a drill that mimics the movements of a fight and the energy expenditure. You can adjust the intensity of the drill depending on your state of conditioning. What makes the drill work is that your training partner will go as hard as you do and visa-versa. Just like in a street-fight were your adversary will be going at 100% to take you out. While the drill can be tough it still is very safe for the two participants. Go to your local hardware store and purchase a wooden dowel rod or thick PVC tubing about 3 feet long and 1½ inches in diameter. Sand down any rough edges if needed, be careful about using thinner dowel rods, they will cut into fingers and palms due to the force exerted in the drill. Better to use thicker dowel rods which will help build up fingers, wrists, grip and forearm strength. To do the drill, have each participant grab the ends of the stick in an offset hand position. Then set a timer for 1-3 minutes and go as hard as you can, pushing and pulling your partner forward, back, side to side, circling and pivoting. If one partner falls down or ends up on his knees he loses. You can raise the stick up and down, side to side as you move, this drill mimics how it feels to get into a street-fight and get pulled and pushed around as you fight. You will get stronger from head to toe in a short amount time, do 1-3 rounds, once or twice a week. One excellent thing stick grappling does is it teaches you to pay close attention to your center of gravity. If it’s too high you’ll be thrown around like a rag doll. In a street-fight if your center is high and you get hit with a powerful haymaker even if you block it, it will unbalance you. Especially if the guy throwing it is bigger or weighs more than you do. It also enhances your anaerobic endurance by the constant bursts of energy used in the drill, just like in a street-fight. And it will train you to recover quickly and stay focused. This drill works great for Boxers, Muay Thai Fighters, Grapplers, Judo and Jiu-Jitsu Stylists. And if you’re a street-fighter or self defense specialist this drill will enhance your tactical skillset. So try it and see how the warrior stick betters your fight game. Man, I love puns. I just wanted to give my readers a heads up. I will be hitting the road and conducting a seminar in Orlando, Florida on Saturday December 4, 2010. My focus will be on leveraging muay thai for street combat. We'll cover the basics of old style muay thai and how it differs from modern sport muay thai. I'll go over the bio mechanics of specific muay chau cherk and lerd rit strikes, and how to take advantage of physics to maximize your power. I'll also cover defense tactics, pad holding techniques, combinations, and multiple opponent tactics. And knowing me we'll probably end up geeking out and go over weapons disarms, CQC tactics, and delve into combat / operator mindset theory. My goal: provide you with some basic tools to help you protect yourself in the street, and to help you recognize the rules that apply to fighting in the ring or the cage do not apply in combat. Register online or contact me via email for more info or if you have any questions. Today I’m going to teach you about how to use a piece of boxing equipment that has all but been forgotten by most western style fighters. Back in the day this piece of equipment was used before the heavy bag, and was thought to be the number one tool to train with. Bare knuckle fighters swore by it, as it would routinely create savage strikers who could take you out with either hand. Have I got your attention yet? Good, then it means you’re interested in this information. Hopefully it will become a part of your training and not be discarded on the junk pile of history. And condition your fists for impact and accuracy. If you’re training for self protection purposes then this is the right tool for you, it will turn you into a very dangerous street fighter. And that powerful piece of boxing equipment was called the “Maize Bag”. Some today call it the “slip bag”, but if you think that’s all it’s good for, then you’re making a terrible mistake. This one misconception is what made it almost disappear from the fight game in the first place. More than any other boxer, when you think of the maize or slip bag you picture Mike Tyson using it to develop his head movement. It made him a very elusive and dangerous fighter, but this is just one aspect of the maize bag. To make a maize bag simply use an old large leather speed bag and fill it with corn, beans or sand. If you don’t have a speed bag get yourself a canvas coin bag, the kind the banks use to transfer coins in. If you ask politely your bank teller may give you the used ones for free. Then all you need to do is fill a zip-lock freezer bag with sand and seal it with duct tape and slip it into another zip-lock bag seal it with duct tape then slip it into the canvas coin bag. The bag will weigh about 15lbs. which is all you will need, but you can fill it with beans or corn instead which will have more give than the sand. You can also use an old Swiss ball by cutting it in half and putting about 15 to 16 pounds of sand in it, then gather it up and use two to three plastic wire ties to zip tie it, then use duct tape to keep the excess material wrapped together. You’ll be able to make two maize bags with one Swiss ball. Next take your maize bag and hang it by some nylon cord so that it hangs no lower than the level of your chin. Try to hang it from a high ceiling, the higher it is the more it will swing, just make sure that it hangs at about chin height. Okay, now you’re ready to use your maize bag, but how do you use it? Good question. Start by swinging the bag and avoid getting hit by it using footwork to get out of the way of the swinging bag. You or your training partner can push the bag to keep it swinging as you train your footwork, just make sure to stay as close to the bag as you can. In a real fight if you move too far from your opponents strike you may get set up for a knock out shot, also you won’t be able to counter his strikes as you’ll be too far away. Practice your shuffle steps, lateral steps, pivots, drop steps or body shifts as you avoid the maize bag. Bob and weave, slip left and right, duck and parry the bag as you move around. Do this for a few rounds to develop your footwork and body movement. We call this dancing with the bag. Next add your blocks, shrugs and deflections to your movements. And finally start punching it, elbowing it, using your forearms, palm heel strikes, hammer fists and even try head butting and shoulder butting the bag. All the while making sure you are moving around as you strike, block and avoid the maize bag. You will find in a few training sessions that your footwork and movement will improve dramatically, not to mention your striking ability. If you strike the bag bare fisted, which I recommend, you will find that the best way to strike it is with a vertical or diagonal fist. No hooks or horizontal punches they don’t work to well bareknuckled and can cause serious damage to your hands in a street fight. Better to use arc punches instead of hooks, striking with the back knuckles of the fist. Striking the maize bag barefisted will teach you what wearing wraps and gloves wont, and that is which punches work best and are safest for your hands to strike with. So start using this valuable piece of boxing equipment and you’ll be a-maize-d at how well it teaches you to become a dangerous fighter, whether in the street or in the ring. Hit and move with purpose using the maize bag, you’ll be glad you did.